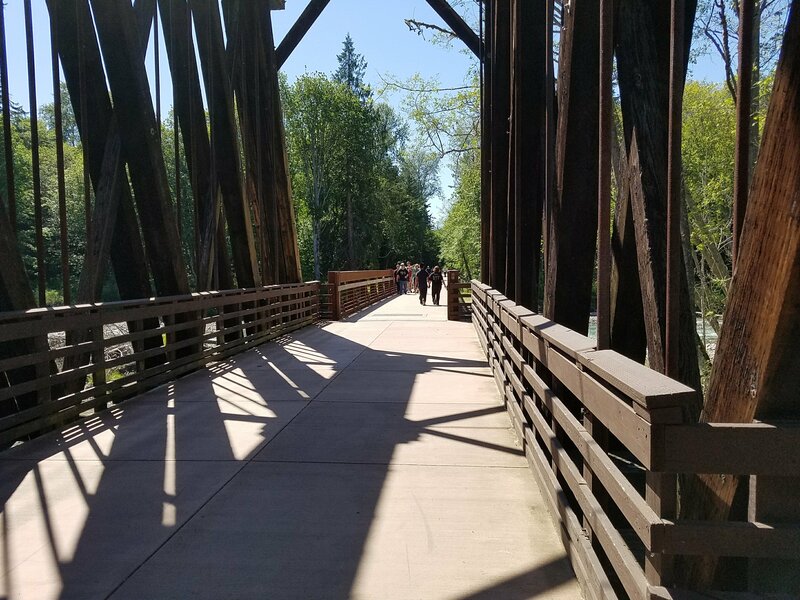 Make use of trails whenever possible for a more comfortable and usually more scenic connection (and often a flatter one, too, if it’s a rail-trail). Cover around 25-40 miles a day, affected by locations of places to stay and the nature of the mileage. Climbing miles count for more than flat miles, ferry or train miles count as zero except for the time involved. Ride in some places I haven’t biked in before. My work in transportation policy has given me lots of opportunities to ride in places all across Washington so this is a tighter parameter for me than for Hubs although he’s raced in several communities in the past. Sleep in beds, eat in restaurants that accommodate vegetarians or from deli cases and grocery stores. Don’t ride somewhere so remote that if we had a medical emergency it could be catastrophic. This means having a cell signal and services within response range. Note: This wasn’t something I consciously thought about in planning but as I put this list together I realized I automatically did this and it does matter to me. Stay in locations that have something to do beyond just sleeping and eating. 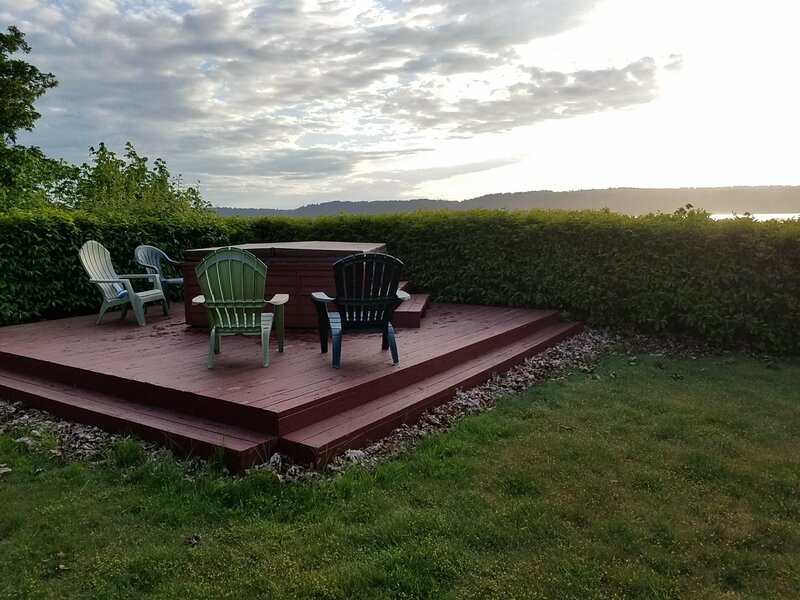 The “something” can be shopping, exploring an interesting community, looking at art, enjoying nature, visiting family or friends, taking in a show (movie or live theater), or relaxing in a peaceful place. These are pretty broad and are strongly affected by my personal biking capacity and interests. Hubs could plan a trip with much longer mileage per day and would probably prefer that, to be honest. Someone else’s list might involve camping, fishing, and eating freeze-dried food. Someone less risk-averse might head farther into the back country. The hot tub that provided a soothing soak at the end of Day One pedaling. Day 1 Plan: From our house south of downtown Seattle (near White Center) north to Mukilteo; use Duwamish, Elliott Bay, Burke-Gilman, and Interurban North trails. Day 1 Actual: Pretty much as planned. I did realize that I hadn’t included “appropriately located places to go to the bathroom along the way” as a planning variable. We made two stops for coffee that you might call “fluid management” — didn’t want to just use the bathrooms without buying something, but then stop #1 necessitated stop #2. The mileage for the first day was about right for my conditioning prep level. Mostly flat thanks to all the trail mileage, although riding in Seattle is never 100% flat. We didn’t really look around Mukilteo at all. If you wanted to do that you could and then stay on Whidbey for a night, breaking it up a bit differently and only dealing with one ferry crossing rather than two in a day (although given the frequent service doing two wasn’t at all problematic). 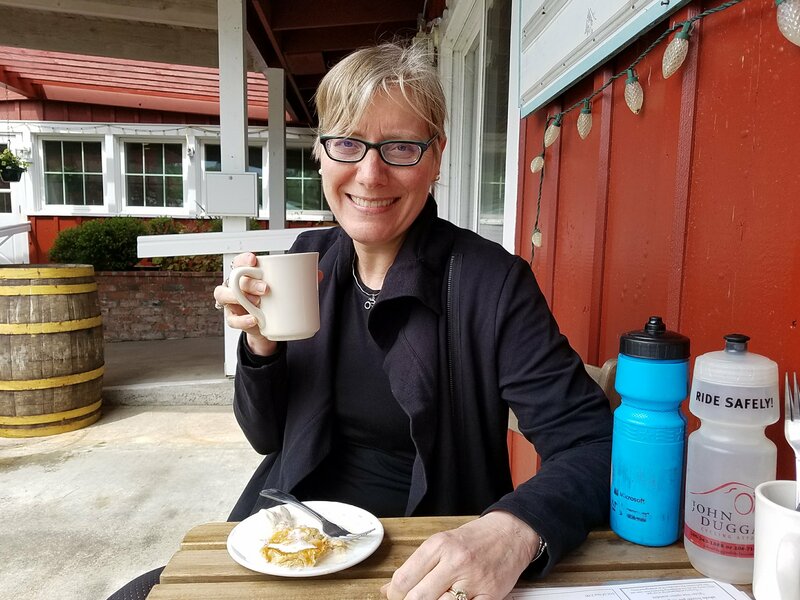 Oh, the pie at Greenbank Farm on Whidbey Island! Day 2 Plan: Catch the ferry to Clinton, bike through Whidbey Island, catch the ferry to Port Townsend. Day 2 Actual: I’m so glad I asked for local expertise on this leg. We got a more scenic route and lower traffic volumes that made it well worth the added climbing. We also got outstanding pie — always worth a few miles. Whidbey Island would have been worth making it a two-day ride, too. We’ve stayed in Langley before and it would be nice to go back, or we could go farther north on the island and then come back down to the ferry landing. Something to look at for future trips. The Olympic Discovery Trail has a number of beautiful trestles. Day 3 Plan: Port Townsend to Port Angeles, using the Olympic Discovery Trail as much as possible. 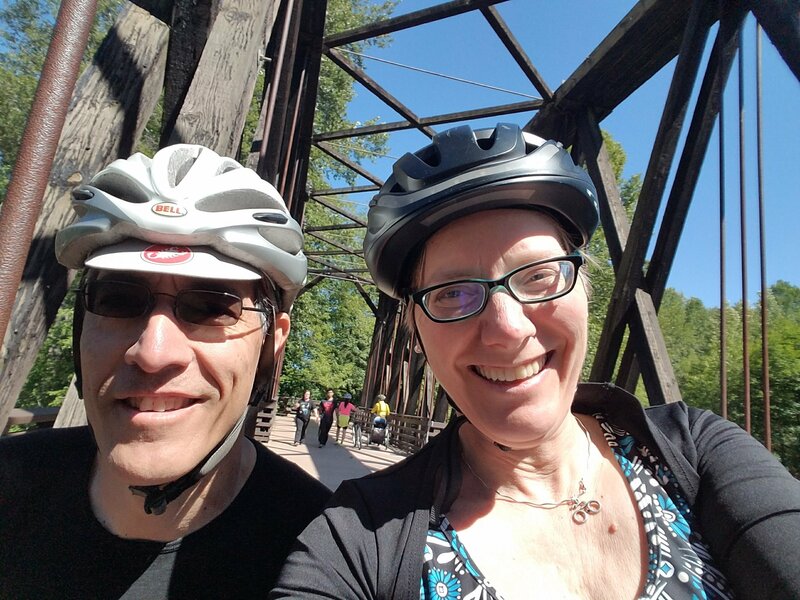 Distance: Our longest day on the bike — around 52 miles. Day 3 Actual: This day was hard. I’m pleased that I made it okay, only pushing up a couple of the extra-steep hills hidden along the Olympic Discovery Trail. I really counted on the segment from Sequim to Port Angeles being flatter than it actually was in a few places. If I had this to do over again I’d make it a two-day rather than a one-day journey and stay in Sequim. Or in a couple of years, maybe stay in Blyn at the resort the Jamestown S’Klallam Tribe is building. They’re the first tribe in the US to be designated a Bicycle Friendly Community and the resort will have great trail access. In this alternative scenario we could have gone all the way to Lake Crescent from Blyn or Sequim on that second day, breaking up the mileage a bit differently. That would have meant a fair amount of climbing that day, although the overall mileage would only be a bit over 40 from Sequim. We could have spent a little time in Port Angeles to give someone’s (ahem) legs a break, then finished the push to Lake Crescent. Day 4 Plan: Port Angeles to Lake Crescent via Olympic Discovery Trail. Day 4 Actual: This day was great. We actually didn’t go via the ODT, instead opting for the more direct Highway 101 route that Hubs had mapped. This involved a lot of climbing but the day’s total mileage was manageable. No pushing the bike up any hills on this route. Ending up at an incredibly quiet, serene setting with no commercial strip made for a really nice change of pace. I love downtowns but don’t spend as much time in nature as I did when I was a kid. Being in a place like this makes me remember how much I love this too. Day 5 Plan: At Lake Crescent on the north shore, Log Cabin Resort. Day 5 Actual: Perfect choice. Tranquil, relaxing. Building in this kind of time in nature is going to be on my planning list for future tours. Coming at this point in the total mileage was just right too — recharged my leg batteries. Day 6 Plan: Backtrack to Port Angeles via the ODT and catch the ferry to Victoria, BC. 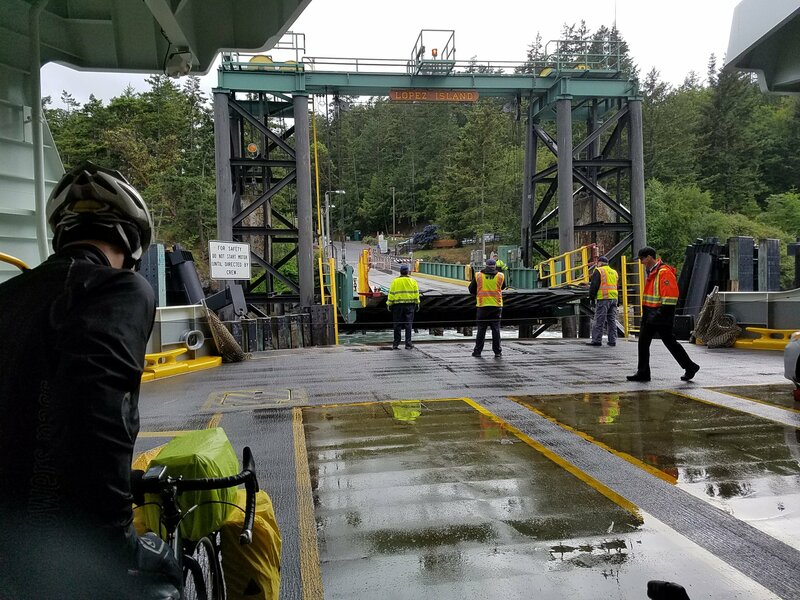 The Black Ball Ferry Liner isn’t exactly like Washington State Ferries — different vessel configuration, for one thing. 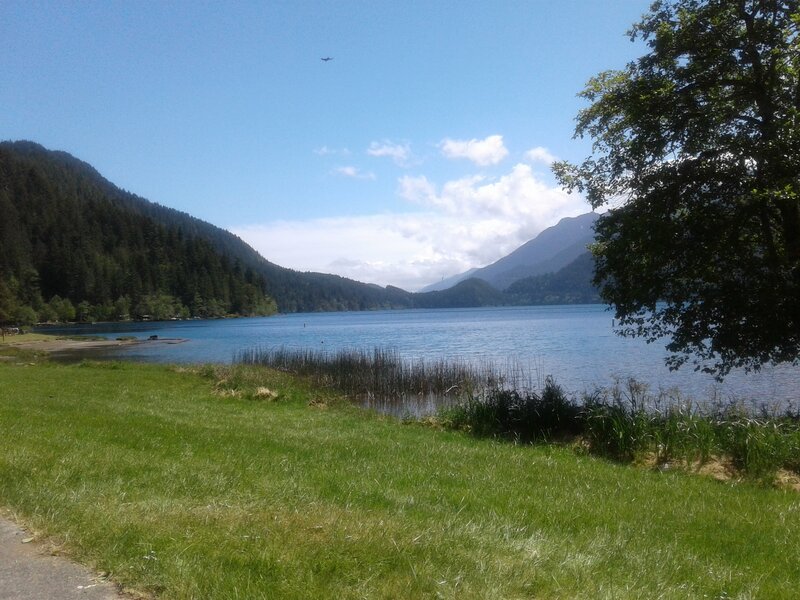 Day 6 Actual: We took the route back that I’d thought we might use going out to Lake Crescent, via county roads, SR112, and the ODT coming into Port Angeles. I was glad we did this, since after some initial climbing up out of the lake valley it was mostly flat or slightly downhill. This made me realize that taking it going the other direction toward Lake Crescent would have meant one never-ending slog uphill that would have felt harder than it actually was, whereas the ups and downs of the highway route provided some coasting time and variety. This day had a lot of slack time in it. We used up some of it running a few errands in Port Angeles. In a pattern that would hold up in future towns, I shopped while Hubs hung out in a coffee shop to do some reading and programming (one of his hobbies). The slack was because we didn’t get up early and push hard to make a midday ferry departure, opting instead for the 5pm one that made for a more relaxed start to the day. 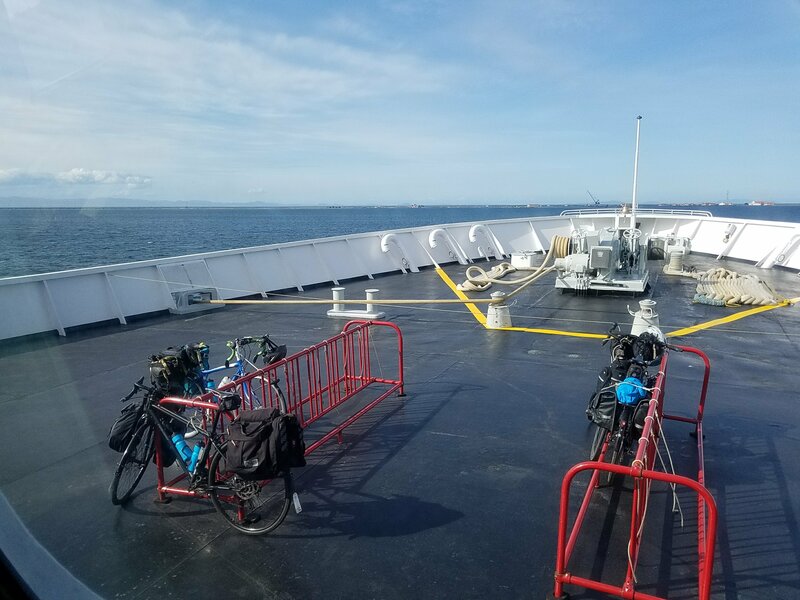 Tying your itinerary to ferry schedules does affect when you start your ride and how much time you may need to fill with activities off the bike. 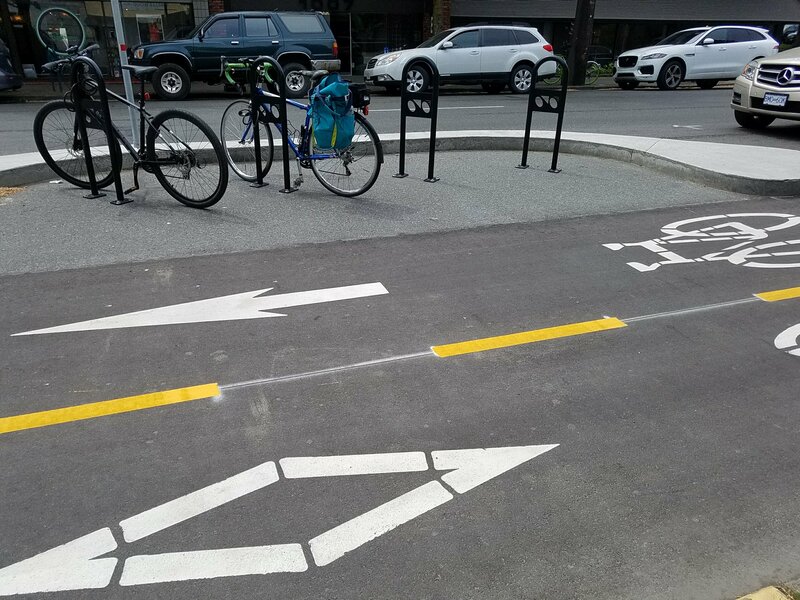 Really loved seeing all the bike infrastructure in Victoria. Every bike ride is “infrastructure inspection” to me — occupational hazard. Day 7 Plan: Explore Victoria. 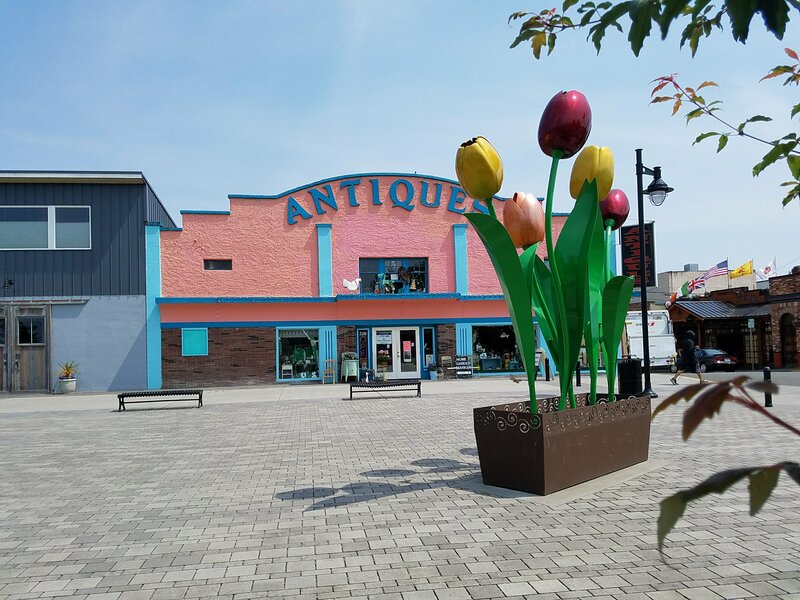 Day 7 Actual: I did more exploring than Hubs did, which was fine; he happily programmed and researched while I went to Antiques Row. Our AirBnb stay proved to be a bit farther from the action than we’d thought and next time we’d stay closer to the downtown core. I didn’t get to see everything that interested me and expect that we’ll go back. Day 8 Plan: Victoria to Sidney via the Galloping Goose Trail and Lochside Regional Trail, then catch the ferry to Friday Harbor. 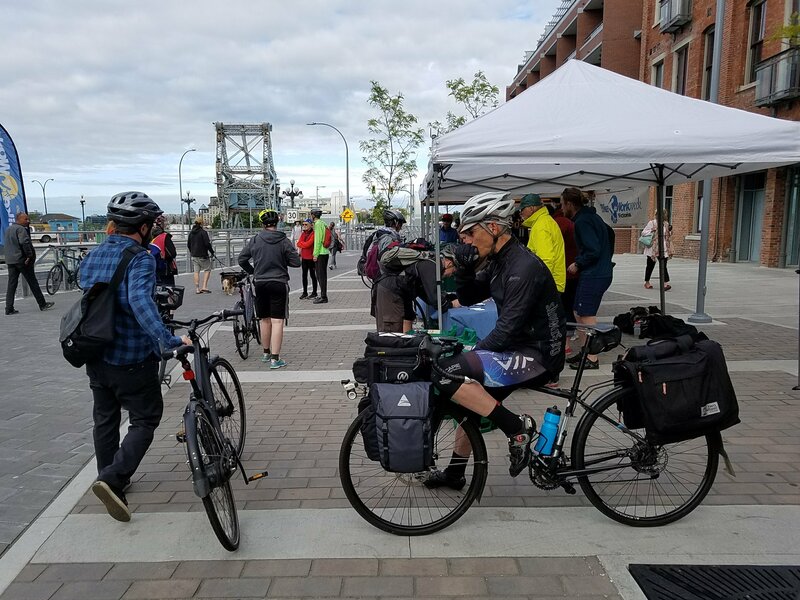 Fun to have our departure from Victoria coincide with their Bike to Work Day Energizer Stations. Day 8 Actual: This was another day with a firm time commitment since there is one ferry to Friday Harbor that leaves at 12:05pm. Fortunately the ride was super easy — even allowing for Murphy Time we arrived with enough time to eat second breakfast, then hang around for an hour before the ferry docked and we could load. If we wanted to see more along the way it could be fun to reverse the direction: Come in at Sidney and ride to Victoria. The ride is short enough that you could look around Sidney and stop at Mattick’s Farm on the way into Victoria if the ferry timing worked for you. Our one bit of rainy riding. Not bad, really, but we were sure glad it wasn’t one of the days that we needed to put in 40 miles to get to our next overnight stay. Day 9 Plan: Hang in Friday Harbor with family. Day 9 Actual: Yep, that’s what we did. Awesome plan. Day 10 Plan: More family time, then ferry to Lopez Island. Day 10 Actual: This was the only day we encountered rain, which affected our choice of ferry departure time as we tried to dodge the raindrops. Luckily we were with family so there wasn’t a firm checkout time. We were also fortunate that the rain had pretty much ended by the time we docked at Lopez. Day 11 Plan: Explore Lopez by bike. Day 11 Actual: Not a ton of exploring and that was fine. We went to Lopez Village for breakfast and a little shopping around, then went back to our wonderfully tranquil AirBnB. From there we walked up the road to explore a nearby nature preserve. I had picked up dinner from the grocery store deli case and we settled in to read and relax. Lopez felt similar to Lake Crescent in giving us time in nature, but included access to a tiny bit of retail. Day 12 Plan: More Lopez time, then ferry to Anacortes. Day 12 Actual: I got the bike exploring mileage in this day by pointing us south to breakfast, then back north to the ferry. May have outsmarted myself, as I developed a killer migraine along the way (not a typical thing for me on a bike ride so I don’t really blame the mileage — it was just highly unpleasant but I always pack meds). This day could have been much easier and would still have been enjoyable. I really love renovated old buildings and great public spaces. We don’t visit places that feature only overly wide high-speed arterials and cookie-cutter strip malls. Day 13 Plan: Ride to Mount Vernon, using Tommy Thompson Trestle and US Bicycle Route 10 as we leave Anacortes. 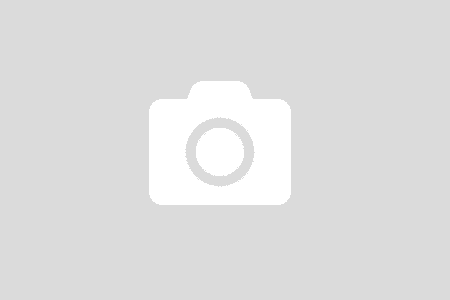 Catch Amtrak Cascades to Seattle. Day 13 Actual: This day didn’t have enough in it, given the very late train (scheduled for 8:13pm, actual arrival around 8:45pm). The only other train available is scheduled for 9:03am so we would have needed to get to Mount Vernon the night before we wanted to catch it. The ride to Mount Vernon was almost all flat miles and we got there with hours and hours to fill even after spending much of the morning in Anacortes. Since we had the fully loaded bikes we couldn’t do things that would take us away from them for large amounts of time, like go catch a movie, unless we wanted to carry all the bags with us. This Amtrak station isn’t staffed so we couldn’t check the bags and just go exploring. Suggestion for our station designers: We need big pay lockers at unstaffed stations that can hold luggage (like what I’ve used at Union Station in Washington, DC). That will free people to go support the local economy without hauling all their stuff around — good for people not on bikes as well as bike travelers. I could have planned a day that had us leave Lopez and get all the way to Mount Vernon and it would have worked fine; I would have just missed some shopping and chatting. We also could have ridden to the next Amtrak station at Stanwood. It too is unstaffed but we would have used more of the day on the bike and would have seen a bit more of the state. I did consider planning to bike all the way back to Seattle, which would have added a couple of days. My likely route involved overnights in Arlington and Woodinville (wine tasting!). We had the high school graduation of our youngest to attend on Friday but could have made it work by making one of the two-day stays a one-day. The first part of the trip had a lot more mileage and we stayed in a different place every night. Once we hit Lake Crescent we switched to more of a two-day pattern. That made sense for the places we stayed and the family visit, which we timed for the weekend. My initial thought is that in future I wouldn’t have so many two-day stays in a row and would put in more riding (which will astonish Hubs), while still building in some two-day stays in beautiful, serene places to rest and recharge. I’ll also consider what the “hanging around” options are if we’re going to end up waiting somewhere for some reason. “Things to do when you have fully loaded bikes you don’t want to leave” needs to include more than just Hubs waiting by the bikes while I shop, no matter how good that is for local economies, and it can’t go on and on for hours and really count as Fun For The Whole Family. Adding in the other modes did put some constraints in, although I love ferries and trains. While I definitely expect to plan future trips that involve these modes our next trip likely won’t have as much of this kind of variable — at least not in a way that creates a lot of hang time. This was planned as a loop with only one bit of backtracking, and even that we did using a different route in each direction. I expect to plan the next one as a loop too. 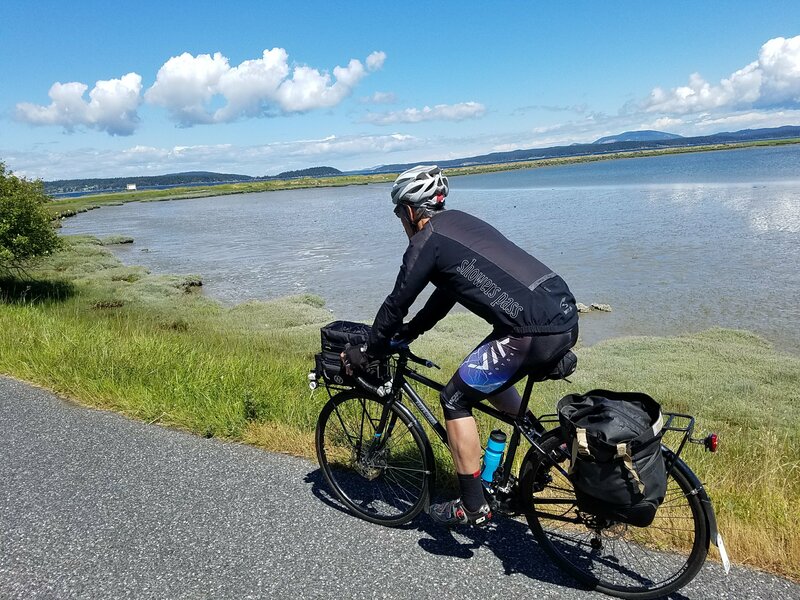 We did a previous four-day trip in Snohomish County that involved riding to a B&B and then using that as our base camp while we did out and back rides for a couple of days, then returned home. The plus side of the hub and spoke model (stay in the hub, ride the spokes) is that you don’t have to pack and carry your stuff every day and the bathroom is always in the same place. If this appeals to you, pick a base that has destinations and things to do within a day’s ride. Our GAP/C&O trip was a one-way but that just made sense given the nature of the connection and total mileage. Overall this was a great trip. If the road conditions and available infrastructure feel appropriate for your abilities and comfort level, I’d recommend it. If you do any portion of it, come back and drop a note to let people know what you experienced. I didn’t include maps in every blog post. If you want those drop me a note at bikewalkbarb-at-gmail. They need some cleanup to get rid of a few missed turns and what-not.